Physician needed for a self-pay clinic in the heart of central Pennsylvania. 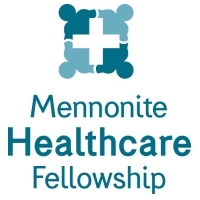 The clinic is designed to serve an approximate 35 mile radius containing nine valleys inhabited by numerous Amish and Mennonite groups. Although the primary focus is the Amish and Mennonite population, services are available to anyone who needs medical attention and chooses to satisfy the bill themselves rather than use an insurance company. Without the hassles of insurance or Medicare/Medicaid, the Provider will be able to provide more quality time with patients and with less stress. Patients will be farmers, carpenters, or owners of small businesses. This is a blue collar population that emphasizes the practical over the superficial, a quality that will be valued in the provider as well. If you would like to be a “country doc” much like doctors 70 years ago, serving a population that has strong faith and practices simple living, this is the place for you. If you have interest please email nathan@staffmd.net or call 470-799-1075.